We have all watched as petroleum, the mainstay of the Nigerian economy since 1970, has undergone a sharp decline in demand in the world market. It is definitely time for Nigeria to look to another source to provide the much-needed boost for the economy. Nigeria is blessed with an abundance of natural resources, the majority of which are untapped and unexplored. 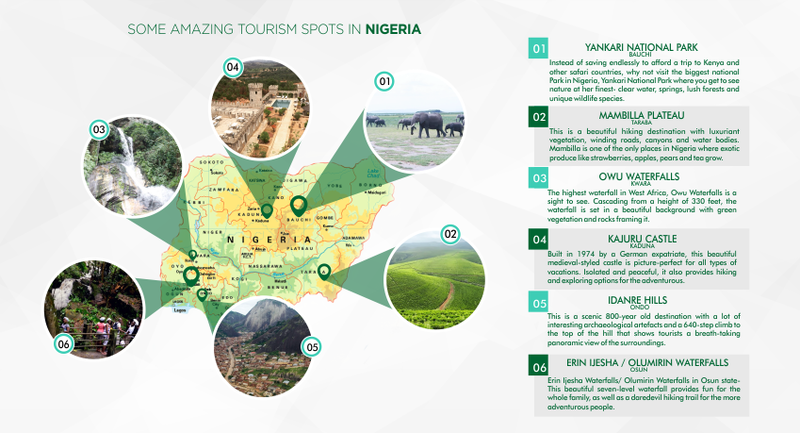 African countries like Ghana, Kenya and South Africa are not as blessed as Nigeria in terms of mineral and natural resources but they have built thriving tourist havens with the few resources available to them .Over the last decade, Nigeria has seen a boost in the hospitality industry because more individuals and corporations like Hotelnownow.com are starting to realise that there is a huge unexplored market for tourism in Nigeria.